At The Waterfront Group, our professionals have a solid combination of operating background, transaction experience and business brokerage credentials. Our team possesses more than 75 years of relevant marketing background and buy/sell client representation experience in diverse industry segments. Our collective experience and expertise extends beyond business transfers to include exit strategy planning and professional buyer (acquisition) search. Steve Smith is Managing Director and the Founding Principal of The Waterfront Group. Steve brings more than 25 years of professional sales, marketing, and business operations management experience to his client engagements. During his career, Steve successfully negotiated buy-sell agreements for clients in aerospace, cleantech, construction, distribution, manufacturing, business services, telecommunications, and real estate. He was previously West Coast Managing Director for a national M&A advisory firm. Prior to founding The Waterfront Group, Steve held a variety of executive positions in sales and operations management at Fortune 500 telecommunications companies. He and his family have been residents of the San Francisco Bay Area for more than 30 years. Steve holds a Bachelor of Arts degree in Economics from the University of California at Los Angeles (UCLA), and an MBA from the Stanford Graduate School of Business. Steve has earned M&A Master Intermediary (M&AMI) and Certified Business Intermediary (CBI) certifications from the International Business Brokers' Association (IBBA). He is also a California DRE-licensed real estate broker. 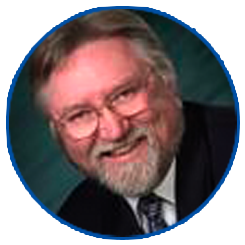 Ray Hanson is our Managing Director for the Pacific Northwest. He is an Oregon and Washington-licensed real estate broker, master-certified business counselor, certified machinery and equipment appraiser, and a business valuator accredited in litigation. 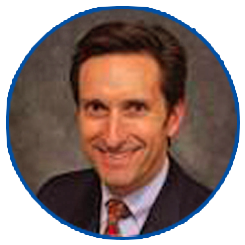 He has more than 21 years of business valuation, consulting, and brokerage experience, having marketed and transferred nearly 200 businesses. In his career, Ray has consulted, evaluated, and transferred retail, service, distribution and small manufacturing businesses of all kinds. He has also testified as an expert witness in business valuation and business brokering. Prior to his business brokerage and consulting work, Ray founded and operated Garland Distributors, an Oregon soft drink distribution firm, for 13 years. In his entrepreneurial career, he has owned five businesses, of which four were start-ups.